A new technique that reduces bleeding during an operation of the liver can decrease the time of surgery and eliminate the need for blood transfusions. The removal of cancerous tumors of the liver requires a complicated and dangerous surgery. Patients may lose between one and 11 gallons of blood and must remain in hospital for two weeks. However, surgeons at the Hammersmith Hospital and Imperial College London have developed a new method using energy waves of high frequency, which seals the area of ​​the liver being removed and reduces the amount of blood lost. “Currently, the blood loss is common in liver surgery. This new surgical technique could open a new era and a different way to operate on patients with liver cancer,” said Nagy Habib, head of the Department of Hepatic Surgery Hammersmith. Tests of the technique in 40 patients with liver tumors demonstrated that blood loss was minimal and there was no need for transfusions. None of the patients died and the recovery time in hospital was reduced to only eight days. In a follow-up 20 months after surgery, there was no recurrence of tumors in the same place, the research published in the Annals of Surgery. The heat from radiofrequency waves, which reach the tumor through an electrode, leaves the cells around the tumor desidratradas and form a seal. When the tumor is removed, there is little bleeding, without the use of staples, sutures or bandages, said Habib. “The radio is easy and safe and offers a new method for operations of the liver without transfusions,” the researcher added. Surgery is the main treatment for primary liver cancer, but it is not always possible, since it depends on the size and location of the tumor. 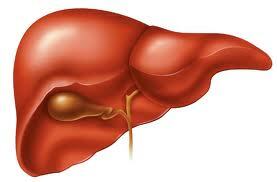 Liver cancer is a major disease in developing countries, with the majority of cases is linked to hepatitis B.